Pejman Kazempoor, Ph.D., gave a seminar on Thursday, February 21, about driving sustainable performance in the oil and gas industry. Dr. Kazempoor is a senior engineer and project manager at Baker-Hughes, a GE company. Abstract: The world energy consumption is projected to grow by 28% between 2015 and 2040, with fossil fuels accounting for more than three-quarters of the world energy mix during this period. As oil & gas (O&G) will remain essential to global economic development for decades to come, global concerns about climate change and pollution are leading to a focus on the amount of energy it takes to produce hydrocarbon fuels. Energy efficiency and emissions reduction, which are intrinsically connected, have been identified as important challenges to the O&G industry and positive drivers that can improve productivity, lower operating costs, and reduce environmental impacts. This presentation is designed to provide a deeper understanding of sustainable energy in the O&G sector and to offer a comprehensive explanation of the opportunities available to achieve it. The main emphasis will be on natural gas and its associated production, processing, and transportation technologies. Specifically, emissions reduction and mitigation technologies, waste energy, and fuel utilization techniques, and natural gas process optimization will be discussed in more detail. The author’s previous and current fundamental research projects and industrial work experience in the same field will be presented. The seminar will conclude by highlighting future research directions and potential projects. 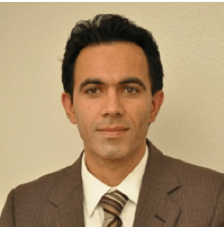 Biography: Pejman Kazempoor is a senior engineer and project manager at Baker-Hughes, a GE company (formerly known as GE Global Research -Oil and Gas Technology Center). He is responsible for driving innovative research and development activities and taking new technologies from the conceptual stage to full commercialization. His current and previous projects at BHGE focus on four specific areas: emission reduction techniques and technologies, sustainability, and energy efficiency, natural gas monetization, and renewable energy application in the Oil & Gas Industry. Pejman graduated with his Ph.D. in Mechanical Engineering in Dec. 2009 from Tarbiat Modares University (TMU), Tehran in partnership with EMPA, Switzerland (ETH-Zurich Domain), where he investigated building integrated co- and poly-generation systems in the framework of the multi-national Polysmart project. He received the Presidential Award, two best conference paper awards, and the TMU outstanding Ph.D. student award for his Ph.D. work and accomplishments. Pejman is the recipient of BHGE’s 2018 Technology Excellence Award, a referee for 15 high-prestige journals in the field of thermal and fluid sciences, and Associate Editor for Journal of Natural Gas Science and Engineering-Elsevier. He also published more than 50 papers in various national and international peer-reviewed journals and conferences, including a book chapter. Pejman innovative experience is also highlighted by three issued patents, as well as four pending patents.